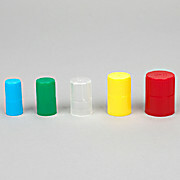 Overfitting caps for use with sterile culture tubes have two positions: loose for aerobic culturing and tight for a-aerobic cultureing and leakproof sealing. 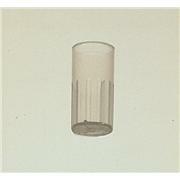 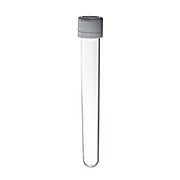 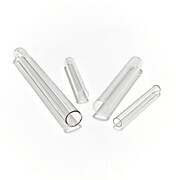 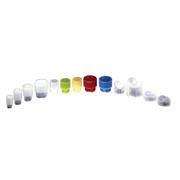 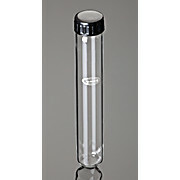 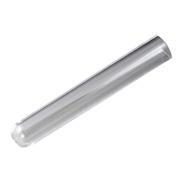 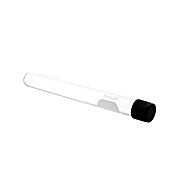 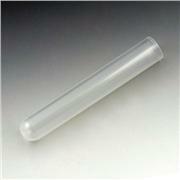 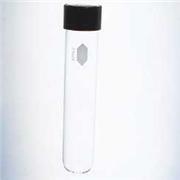 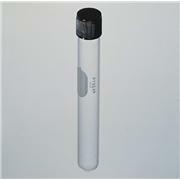 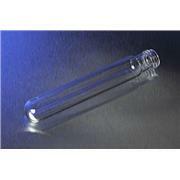 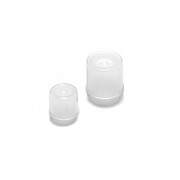 …20x125mm PYREX® culture tubes have a round bottom, GPI 18-415 threads and come without a marking spot. 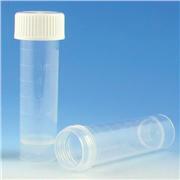 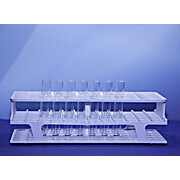 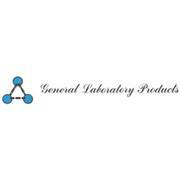 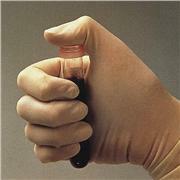 They are designed for both tissue culture and general bacteriological work. 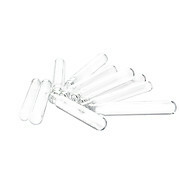 These tubes hold approximately 24 mL, are made from borosilicate glass, bulk-packed and are sold without caps. 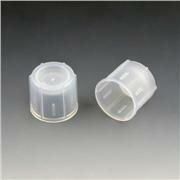 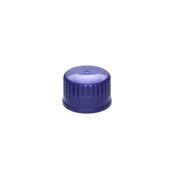 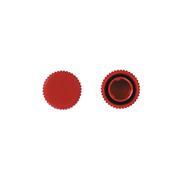 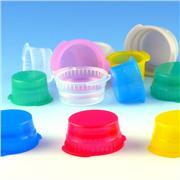 Polypropylene closure Autoclavable Natural For use with the KIM-RAK or other disposable culture tubes.